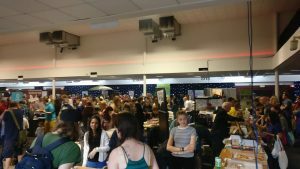 We have run over 30 vegan festivals to date and are expanding every year to run more and more events. Click here to see details of the next festivals around the UK. We also have a vegan store at 71 Clayton Street, Newcastle upon Tyne, NE1 5PY stocking a wide variety of vegan products.